It’s been very quiet on these here blog parts the last couple of weeks and bizarrely it is something I feel really guilty about. This blog is my passion, our family diary, it’s also my work, my livelihood and my space to be creative and be me, and as such I hate it when I neglect it. But the reality is that we have had some serious family life changes the last couple of weeks and something just had to give for a while, and for a short while that has had to have been my blog. A week and a half ago we moved house. After spending nearly eight years in our little home we have moved to a new house. It’s going to be a big project, it’s a house that is going to take a lot of work to get it the way we want it, but it is also our ‘forever’ home, or at the very least a home that our children will grow into adulthood in. It is so exciting and I thought I would be emotional about leaving our old house, but bar a little tear on the day we moved, I can honestly say I haven’t even really thought about our old house. I keep walking around this house and I can’t believe it is ours. I am bursting with happiness and I can’t begin to explain how excited I am to be here. I stupidly committed myself to doing daily videos throughout the month of June, so while I have been quiet on here, I have been busy over on You Tube. It is one of those things where after I had filmed two days I suddenly thought it was probably a bad idea as they are quite time consuming, but once I have set myself a challenge I don’t want to break it. Plus I am sure that I will love to look back on them in years to come as well as it is such a special time in our lives. Which leads me on to my sibling posts for this month. I really wanted to take some photos of the three of them in our new house, but in all honesty it got to 9pm on Wednesday and I realised that I completely forgotten to take any as it is pretty hectic here. So I have resorted to a back up, but what a wonderful back up it is. A week and a half ago (talk about a crazy few weeks!) 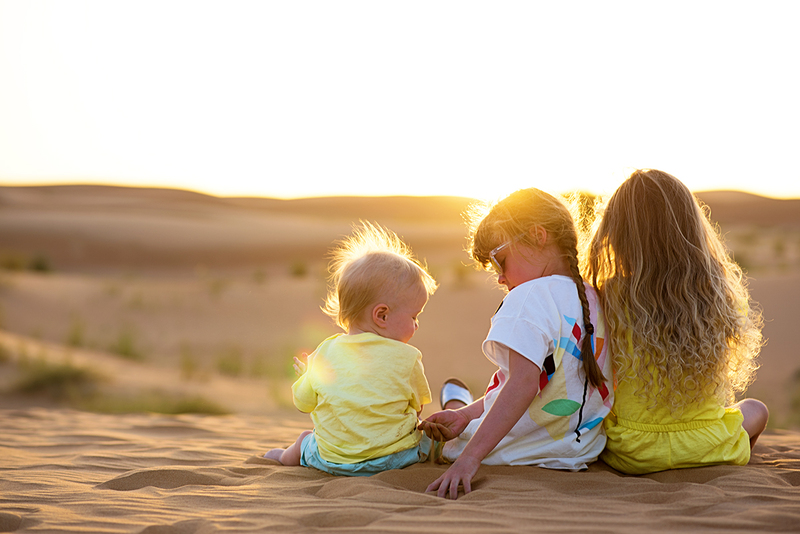 we got back from an incredibly holiday to Dubai with Emirates Holidays. I have so many posts to write and so many videos to edit, and I really am going to try and get a couple up next week. But it really was one of the best places we have ever been as a family and I have so much to talk about. In the meantime though here are a couple of photos from our time in Dubai. The first couple are from an amazing desert safari we went on, I can honestly say it was up there with one of the best nights I have had in a long time. 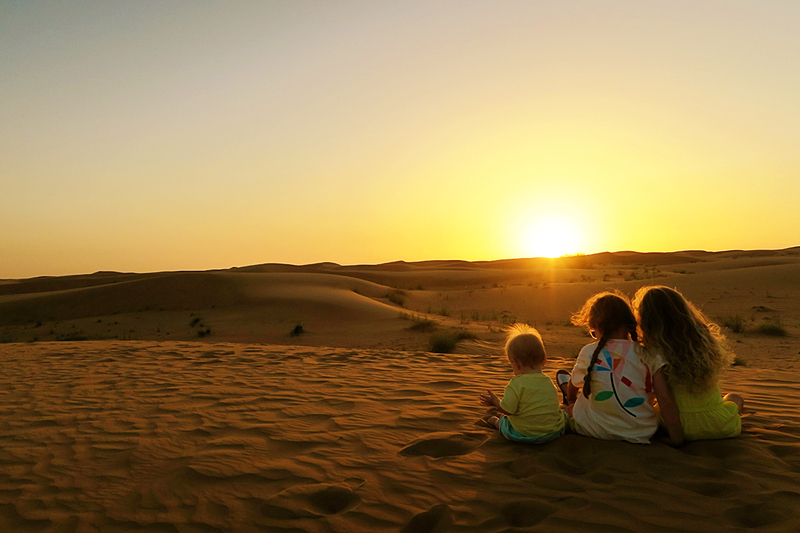 We sat watching the sunset on a sand dune in the desert and I am not ashamed to say I had tears in my eyes. It really was a special moment and one I will remember for a long time. 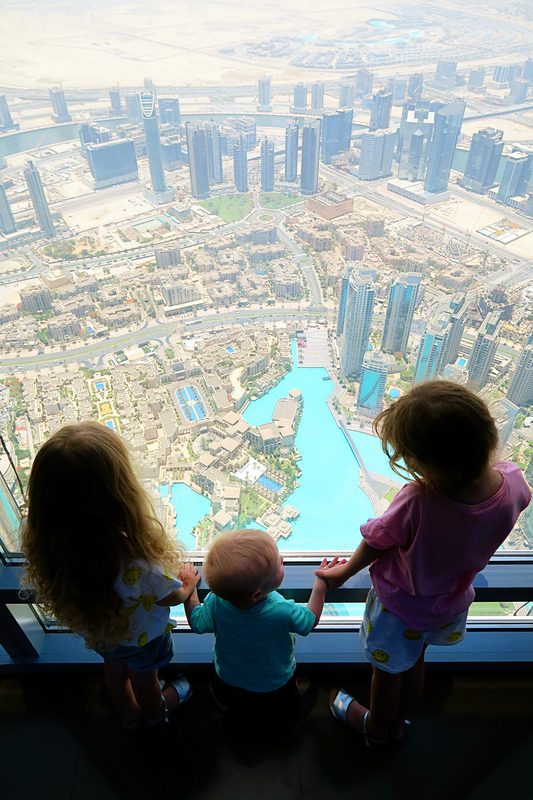 The second set are from our trip up the Burj Khalifa, the tallest building in the world. 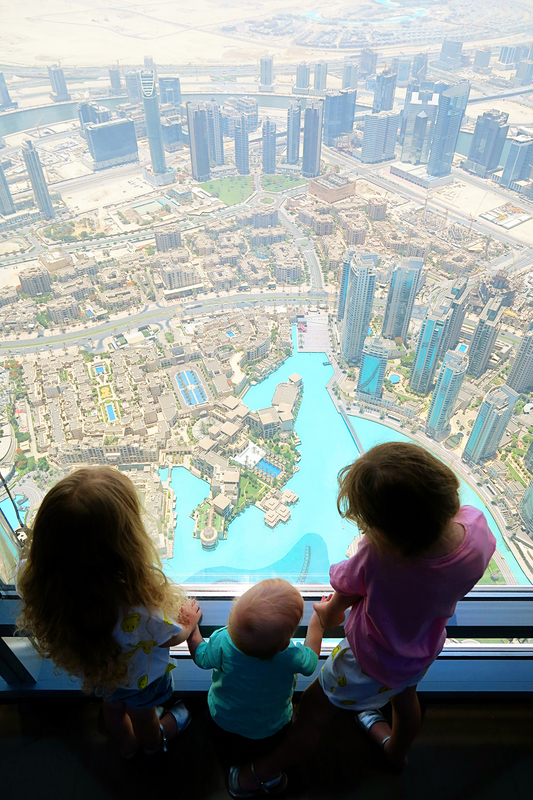 The girls absolutely loved it and it is pretty cool to now say we have been up the world’s tallest building, Mads went home and told all her friends and teachers. It was such a fabulous trip, one that is up there with one of the best we’ve ever had together, but now it is time to keep our feet firmly on home soil for a while, while we settle in and enjoy our new family home together. 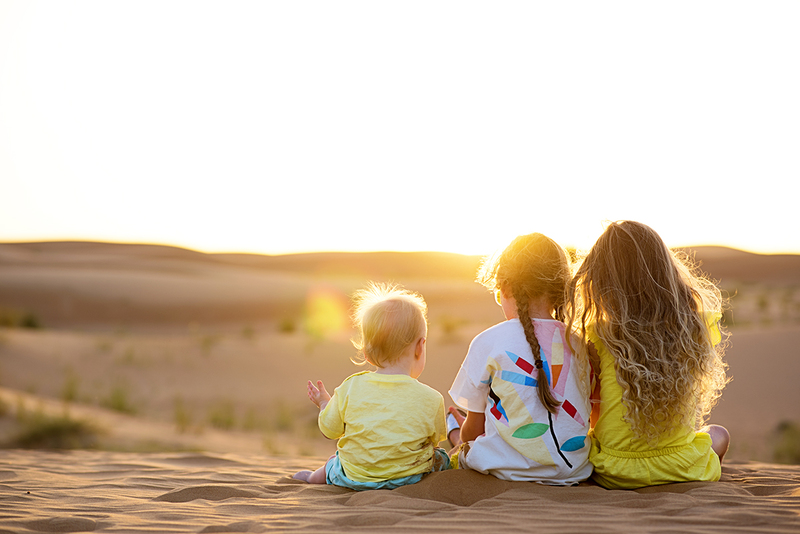 Head over to check out what Lucy, Amber, Carie, Keri-Anne, Donna and Natalie and their lovely siblings have been up to this month. Fabulous travel photos 💛 May I ask, which lens or lenses do you take when travelling? I cant decide between so thought I’d ask you as your photos are beautiful! Congratulations on your new home!